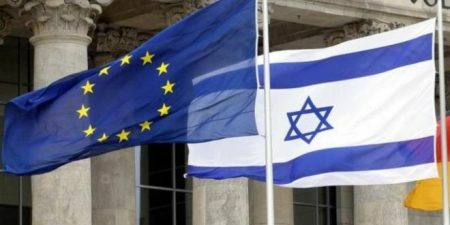 Haaretz Israeli newspaper, on Tuesday, said that European diplomats noted that the summit with Israel, which was due to take place on 28 February, had already been delayed for five years, following the settlement regularization bill which was passed in the Knesset late Monday. The diplomats, who reportedly preferred to remain anonymous due to the matter’s sensitivity, told Haaretz that, during Monday’s meeting of the EU’s foreign ministers, several states voiced their opposition to holding the summit, dubbed the “association meeting.” The meeting was meant to mark the tightened cooperation between Israel and the EU and to set out a work plan and priorities for improving relations between the sides. Among the countries that expressed their reservations regarding the summit were France, Sweden, Ireland, Austria, The Netherlands and Finland, PNN further reports. This morning, Saeb Erekat, a senior Palestinian diplomat, has said that if the EU “rewarded” Israel with a high-level meeting later this month, it would be helping to “bury” the two-state solution. “The Israeli government shouldn’t be rewarded for its systematic violations of international humanitarian law. Rather, there must be accountability,” he told EU Observer, in an interview.